The Dark Below DLC and its glorious new content is scheduled to arrive to Destiny next week. 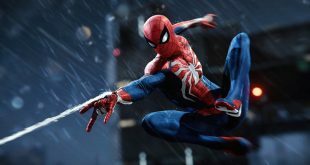 Not everyone will be able to benefit from all the content though as some of it is reserved exclusively to those who own the game for the PS3 or PS4. Granted, it’s only timed exclusive, but it will remain that way until at least Fall 2015. 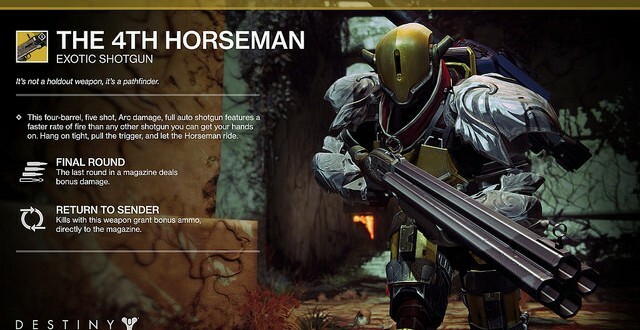 The exclusive content includes a Strike that goes by the name of “The Undying Mind” and an exotic weapon entitled “The 4th Horseman” (because Death wouldn’t have been cool enough). The said weapon is an exotic “four-barrel, five shot, Arc damage, full auto” shotgun with a rate of fire that’s faster than any other similar weapon found in Destiny. As for The Undying MInd, PS4 and PS3 owners will be looking at a three-player co-op Strike that takes place on Mars’ Black Garden. “You can step back into the coveted dangers of The Black Garden to face a timeless Vex machine-beast that has survived for ages. Prepare for firefights amidst vine-laden pillars and decaying paths in an effort to destroy the ancient evil,” a post on the Playstation Blog reads. 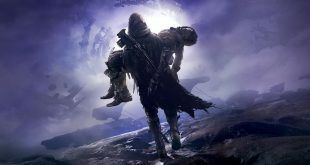 Aside from the exclusive shotgun and Strike, The Dark Below also adds content that will be available to all Destiny owners regardless of platform. This includes the usual assortment of new weapons, armors, story missions, three new competitive multiplayer maps, and a new six-player Strike. The DLC also raises the Light level cap to 32 and adds five additional bounty slots, as well as a new Tower resident called Eris who will be in charge of providing Destiny players with the new story missions. The Dark Below DLC is scheduled to arrive to Destiny next Tuesday, December 9th for PS3, PS4, Xbox 360, and Xbox One. Stay tuned for more news and updates.